RENO, Nev. – Mountain snowpack is a primary source of water for the arid western United States. This region, which includes Arizona, California, Colorado, Idaho, Nevada, New Mexico and Utah, receives precipitation in mountains far from agricultural fields, and during the winter months when crops are not grown. Water allocation institutions are the rules, regulations, rights and management strategies that determine how that water gets distributed among competing uses. 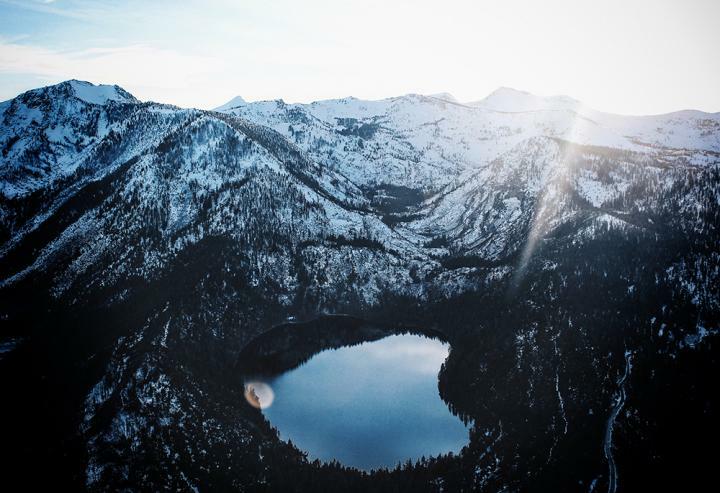 Changes in mountain snowpack is altering water availability in ways that are not yet well understood, and it is not clear how well existing water allocation institutions will cope with these changes. To bring scientific focus to these inevitable changes, the University of Nevada, Reno recently received a $4.97 million grant from the USDA National Institute of Food and Agriculture to lead a major research effort that includes the Desert Research Institute; Colorado State University; Northern Arizona University and Arizona State University. "Water is our most precious resource and finding solutions for dealing with water scarcity and quality is critical for communities across the U.S. who grow and raise the food we eat," Acting NIFA Director Tom Shanower said. "By investing in projects that address a critical problem for American agriculture, we aim to find better tools and technologies for water management practices that make a difference for our farmers, ranchers, and foresters." "Agriculture in the arid West has historically benefitted from natural storage and predictable melt rates of mountain snowpacks; but, existing built water storage and delivery infrastructure no longer represent our snowpacks," Adrian Harpold, assistant professor in the University of Nevada, Reno College of Agriculture, Biotechnology and Natural Resources, said. "Earlier melting of mountain snowpack alters the timing of runoff, putting additional pressure on reservoirs to meet the needs of agricultural water rights holders." Changes in availability and seasonal timing of mountain snowpack runoff mean that everyone, from farmers to municipal managers, is going to have to adapt. Conflicts have already arisen where existing water allocation laws and regulations have failed to allocate water in accordance with all rights holders' expectations, and water authorities have intervened to limit permitted water rights. According to the researchers on this project, Western water allocation strategies may benefit from changes to adapt to long-term mountain snow-melt patterns. "This change in runoff timing will require more active management of reservoirs, based on new hydrometeorological forecasts rather than on historical climate norms, to enhance water supply for downstream consumption and to mitigate floods," Seshadri Rajagopal, assistant research professor in the Division of Hydrologic Science at the Desert Research Institute, said. How changes in available water, and laws and regulations, affect the economic well-being of various groups in society – including the sustainability of agricultural production in the arid West. "The impacts of changing mountain snowmelt on water rights holders are profound," Kim Rollins, University of Nevada, Reno professor and project director for the grant, said. "Increased risk affects private decisions to sell irrigation water rights, potentially causing permanent losses in the capacity for food production in the arid West. Decision-making can be improved with a better understanding of how changes in water flows influence agriculture producer decision-making and how laws and regulations can exacerbate or relieve constraints imposed by these changes." Information gathered will aim to inform three sets of decision-makers. The first are the regional, state and federal water policymakers. The second are the local water district managers as they determine, according to the laws and regulations set forth by policy, where and when to divert water flows from the various sources through their systems to end users. The third set of decision-makers are the individual agricultural producers and other water rights holders in deciding how they will use water and how they will respond to changes in their water rights. "To be of value to decision-makers, empirical information must be provided in a manner that specifically addresses the decision problems at hand," Loretta Singletary, interdisciplinary outreach liaison, University of Nevada Cooperative Extension and professor, University of Nevada, Reno, said. "This means that timing, format, units of measurement, accessibility and other attributes of empirical information need to be designed to be of practical use to improve decision-making outcomes." Bryan Leonard, assistant professor, Arizona State University, School of Sustainability.